Why dumplings? why women? Why ESOL? Why supper clubs? After three years of running our project, it is really important to reflect on why we decided to set up. The post below sets out the background research we did relating to women from communities who access ESOL provision. It also displays our attempts to fund raise to keep these sessions going. Why Dumplings? Dumplings are interesting as they appear in almost every culture but differ in shape and filling. The process of making dumplings requires teamwork, a long period of time and many conversations in between. Recipe for Success with 4Lunch – Heart & Parcel Founders talk dumplings and community projects. 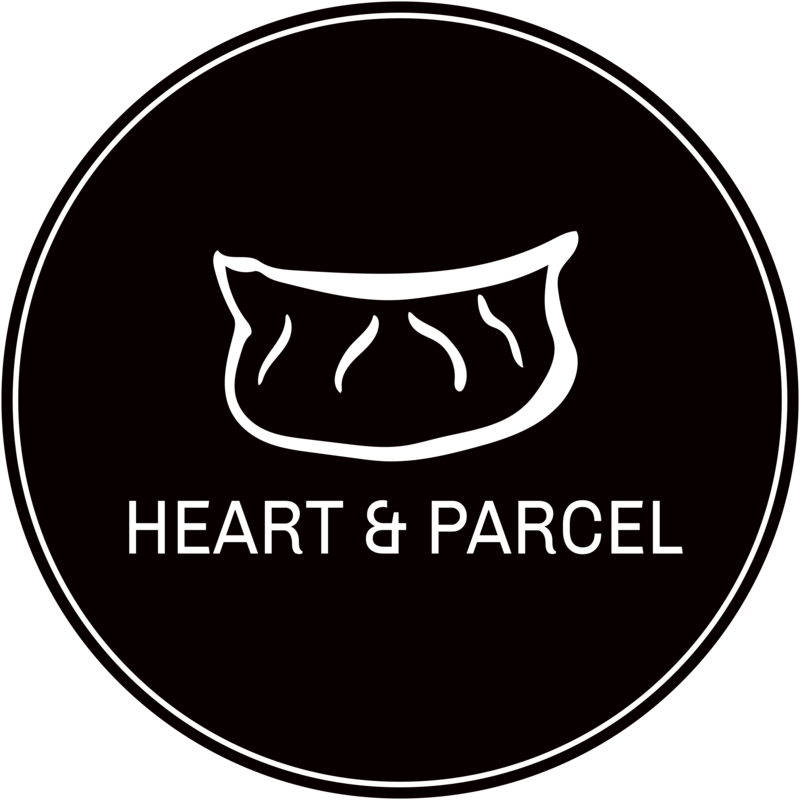 In Making it as a community food project, we will be in conversation with Karolina & Clare, the founders of Heart & Parcel, a project bringing migrant women together and helping them improve their English through the making of delicious dumplings from around the world. This was an excerpt from a piece of reflective writing written back in July 2015 by founder and then ESOL tutor, Clare. Although written a while ago, she has decided to share this to contribute to the ongoing conversation of the direction for ESOL provision, and to shed light on the beginnings of the ideology behind Heart & Parcel. I just finished working for all my ESOL jobs today. It has got me reflecting on a lot of different things. what worked, what didn’t, why, what happened and why. I mentioned about my recent project leading an ESOL parenting course in an earlier entry. Already facilitating such a class was strange as I know very little about parenting, not having children of my own. As we have passed into our 3rd year running Heart & Parcel, we find ourselves looking back fondly at the work we have done, the women we have met and the hundreds of dumplings we have made (and eaten). Over the years it has been really exciting to see that we have inspired so many others to create and set up their own ventures with cooking, dumplings or creative ESOL. In the past, we have had requests for how to embed English into cooking and how to set up a supperclub, which we have responded to by writing blogs and giving sample lesson plans here and here. Dumpling Lessons: The importance of learner centred sessions. When we do our private workshops we know our structure very well. We come in, make our coffees, set up the space. We unpack our ingredients, get out pots, pans and rollers, attach our badges to the aprons, place the water on the stove to boil and await the arrival of our participants. These actions are satisfyingly familiar to us. However, the shape of the sessions as a result of the characters that enter the room is the surprise. What each participant brings remains the most exhilarating part of Heart & Parcel. We thought we would share this lesson plan we have used about three times now with different groups. This is an all round lesson we have created that covers many skills. It works very well with group work and building conversation. More specifically for literacy and numeracy, this lesson familiarises learners with nouns, adjectives, verbs, spelling, quantities and process adverbs. For well-being purposes, it gets participants chatting, working together to create something, and the cookies are pretty delicious for open conversation at the end. A blog from a woman who came to our workshop a couple of weeks ago, met the women we work with and tried some of their delicious dishes. Thank you so much for writing about us and we hope to connect with you soon! Last week I had the chance to briefly meet Heart and Parcel at one of their regular workshops, this time at Inspire in Levenshulme. Heart and Parcel are another brilliant example of a project that mobilises the strengths and knowledge of people, and empowers its participants, building confidence and skills, experimenting with new ideas…Heart and Parcel bring women together, making dumplings, developing ESOL skills. Their work is funded through the dumpling supper clubs and market stalls they run.